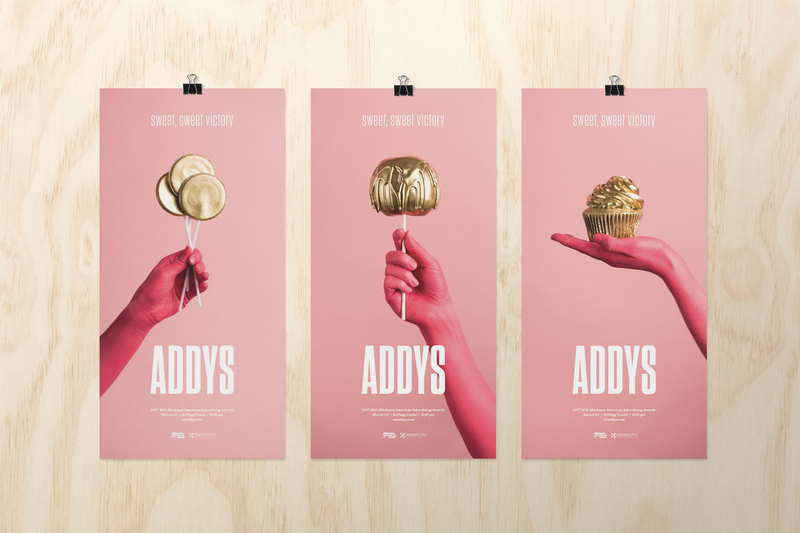 The ADDYS, or the American Advertising Awards, is a creative competition and awards ceremony that celebrates the best in advertising, design, photography, and videography each year. The Mid-Michigan Creative Alliance, a chapter of AAF, sponsors the regional competition and event. The ADDYS is a creative competition and awards ceremony that celebrates the best in advertising, design, photography, and videography each year. Starting May of 2016, I had the honor of serving as the president of the Mid-Michigan Creative Alliance, chair of the Mid-Michigan ADDYS, and creative director for the ADDYS marketing effort. Our goals for the competition and event mainly surrounded engaging marginal audiences including creative vendors, media partners, and university students. Our strategy for the 2017 ADDYS was simple: focus on the feeling of winning. This idea, central to any competition, was inclusive and relatable. From the perspective of the campaign, we wanted our creative concept to connect this innate emotion with a bold, surrealist, and whimsical theme. From this line of thinking, I crafted our idea and tagline: Sweet, Sweet Victory. Our visual concept expanded on the idea through a literal interpretation of sweet. 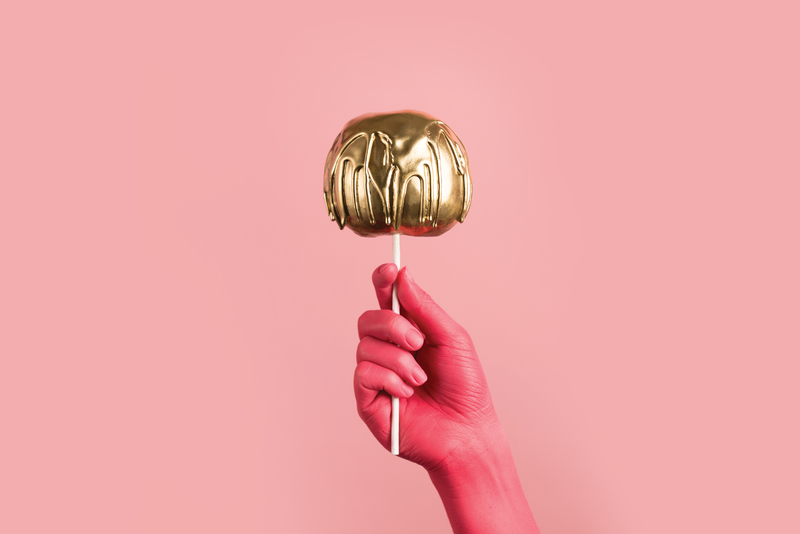 Each execution would feature a photograph containing a delicious treat, composed of gold – the gold representing the competition's highest awarded level. 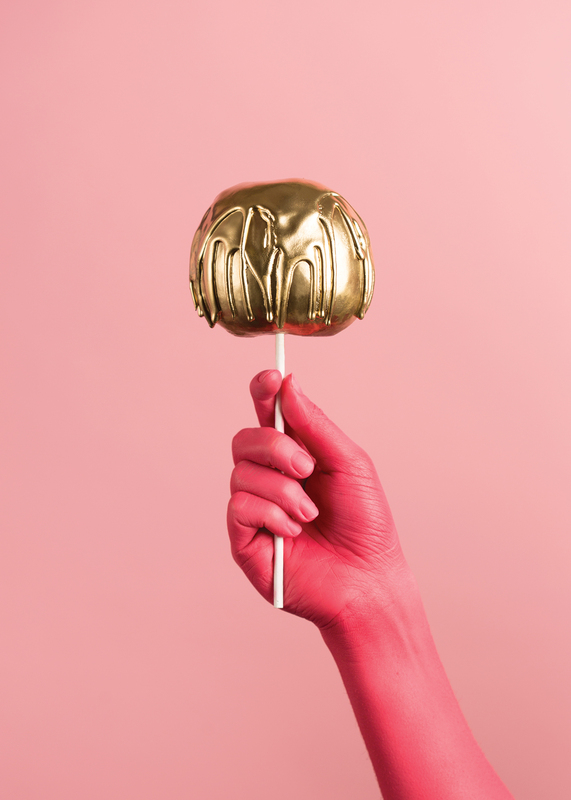 The secondary element of the photography would be the humanizing element – a nondescript hand holding the gilded sweets on high. Throughout the creative process, our team continued to reiterate the importance of inclusivity, a topic central to our goals and current world events. 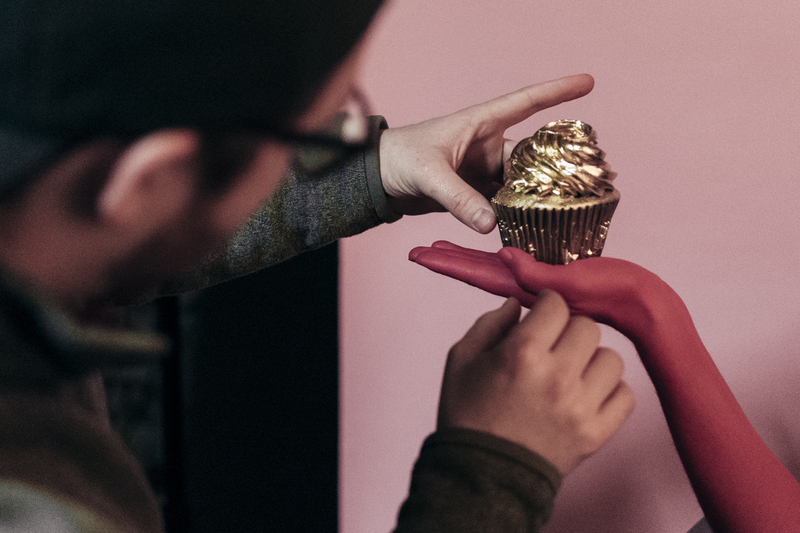 As a measure to achieve the latter, we decided the hand would be pink. 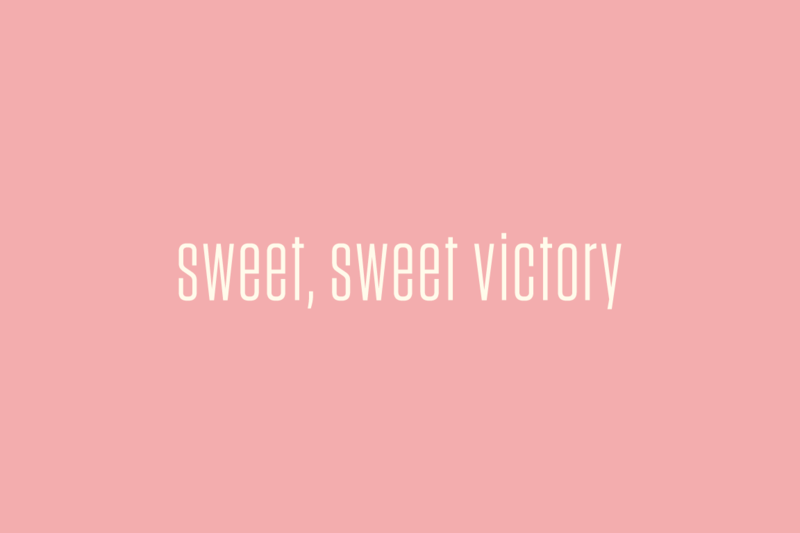 We landed on pink not only because of the color's association with sweets, but more importantly because of it's ambiguous nature. It shows no race, gender, religion, etc. In this way, anyone could relate to the fundamental idea and feeling of winning. A professional makeup artist paints Natalie Kozma's﻿ hand pink. Creative direction at the shoot with photographer Khalid Ibrahim. The creative and campaign strategy was widely successful. Results included the most submissions and highest event attendance the club had seen in more than ten years. 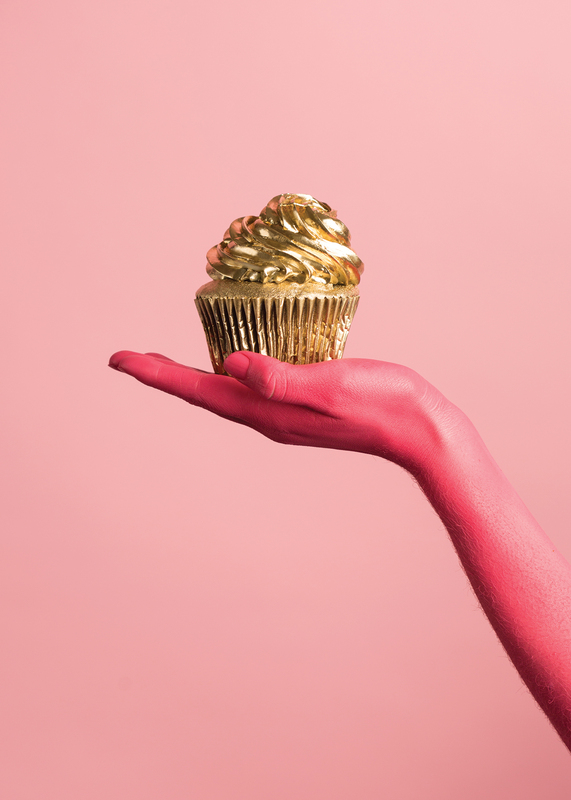 Pink hands and gold sweets were everywhere. 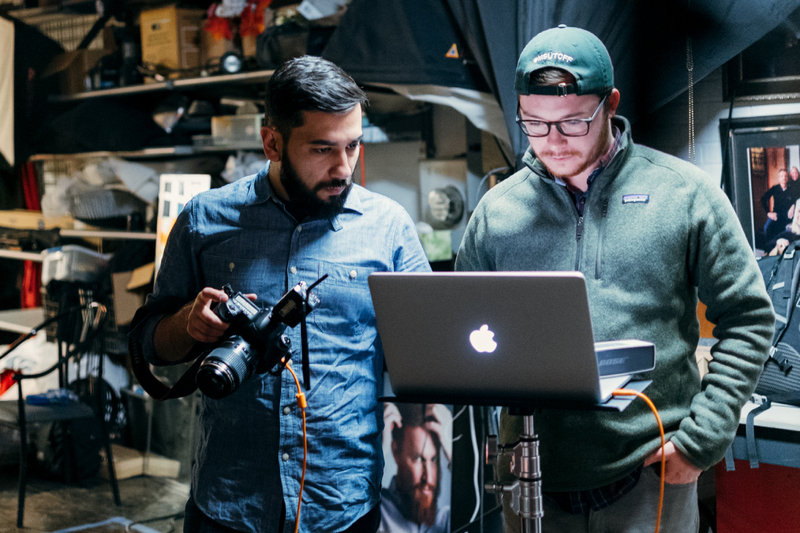 The photography donned traditional and digital media alike: posters, direct mail, email blasts, paid social media, oversized event banners, Snapchat filters, and much, much more. When I look back on the creative, and it's success, I see past most of the strategy and concept. I think its success lies in how we found a way to connect with people emotionally. The photography affixes itself to the inner child in us all and ultimately is just so fun to look at and continue the story. Becuase, isn't winning just oh, so sweet?